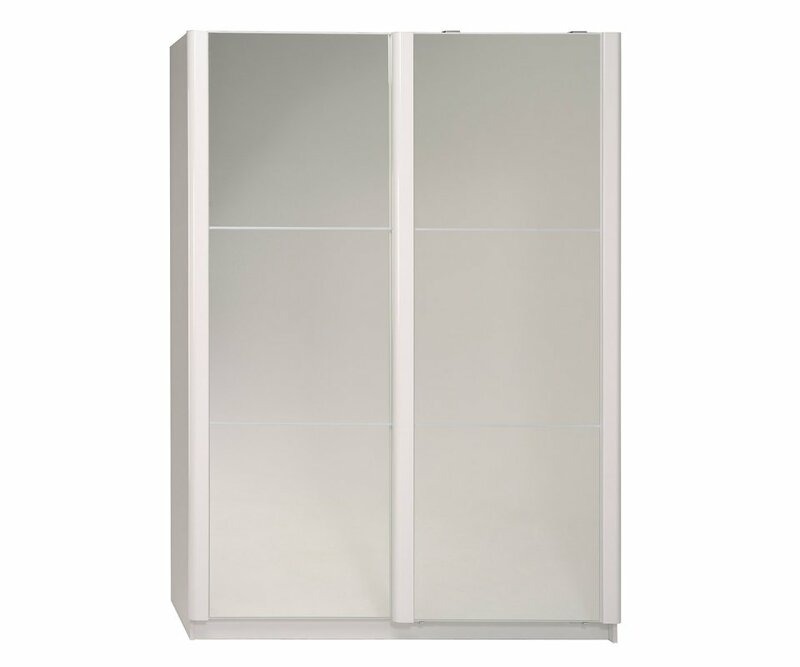 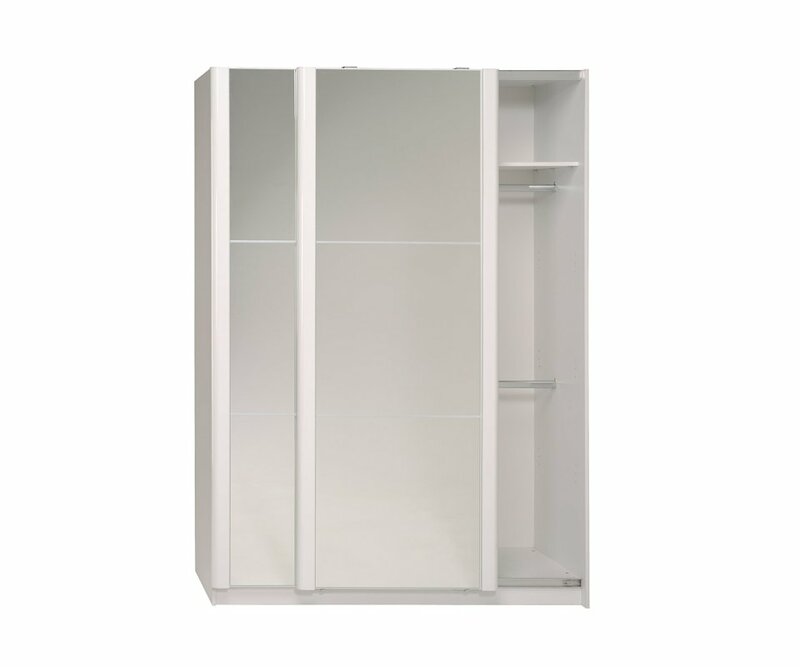 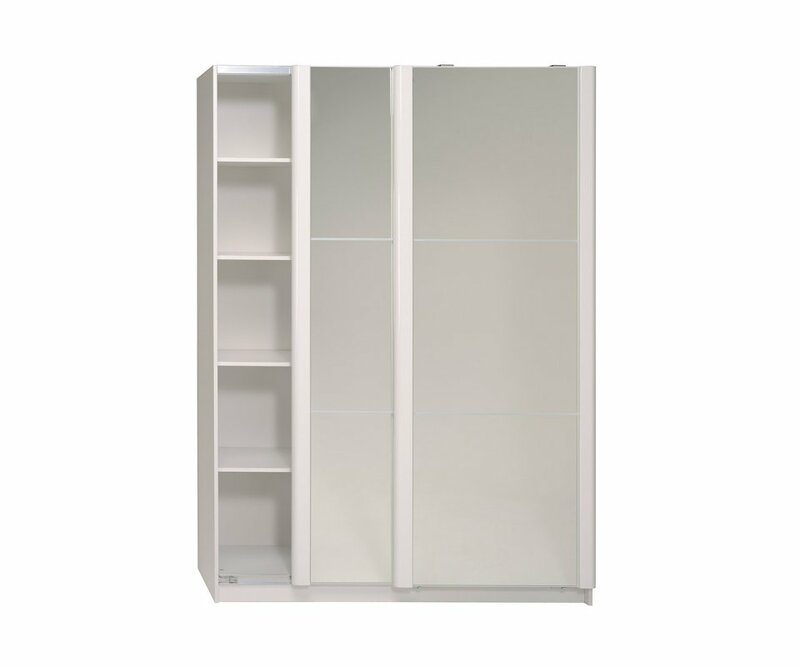 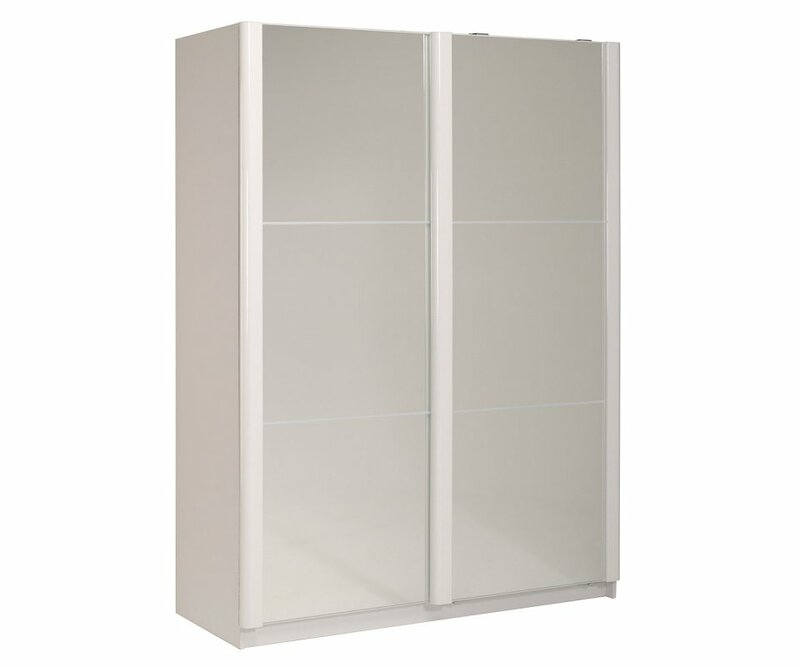 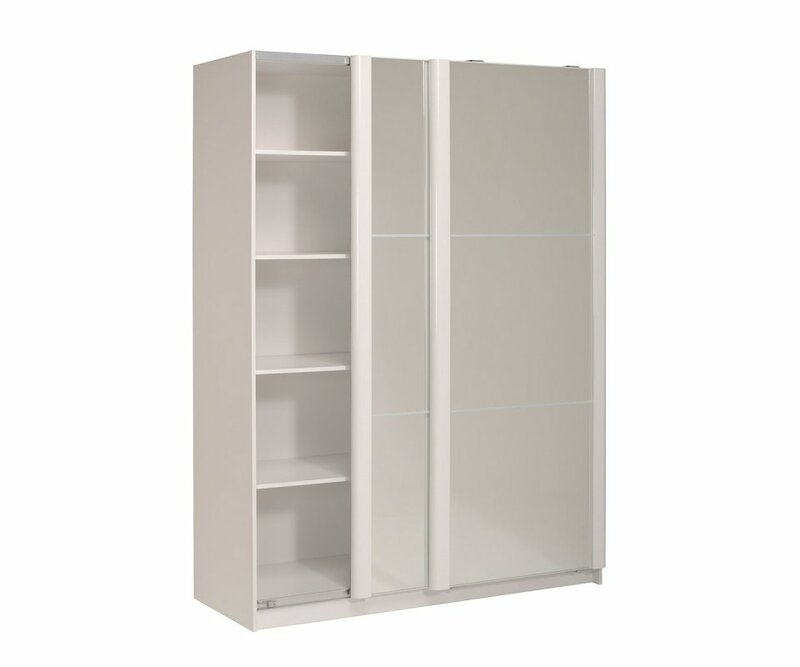 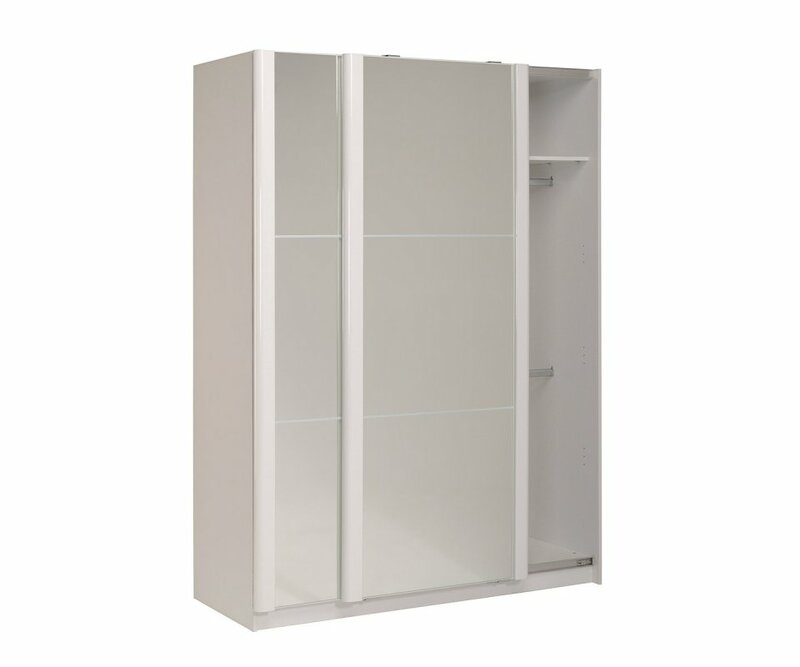 Prepare to expand your wardrobe with the Wesley 79" wide 2-door wardrobe fashioned from high-quality particle board covered with glossy white lacquer & shiny white melamine. 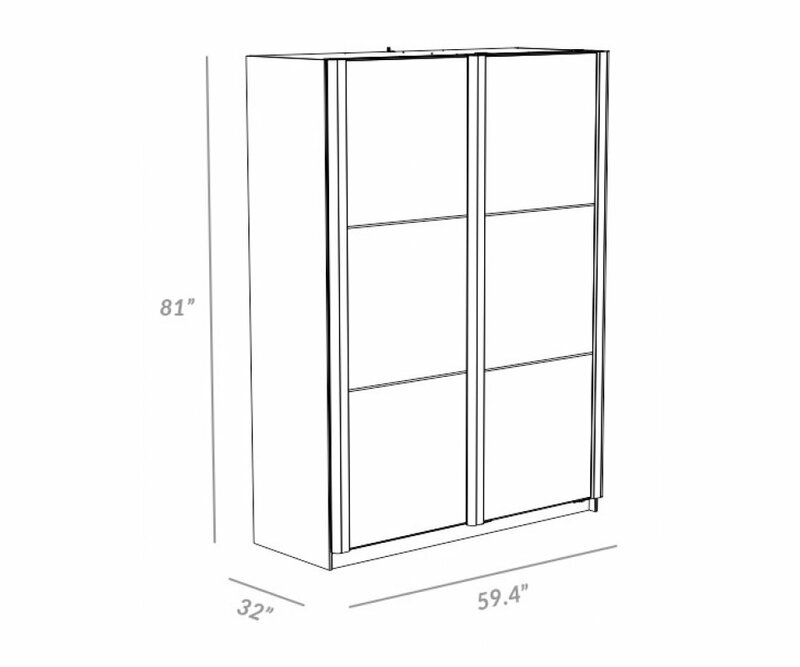 Featuring two (2) sliding mirrored doors accented by radial trim & a spacious hang-up storage area alongside five (5) stacked cubbies - might be a shopping trip in your future!! !